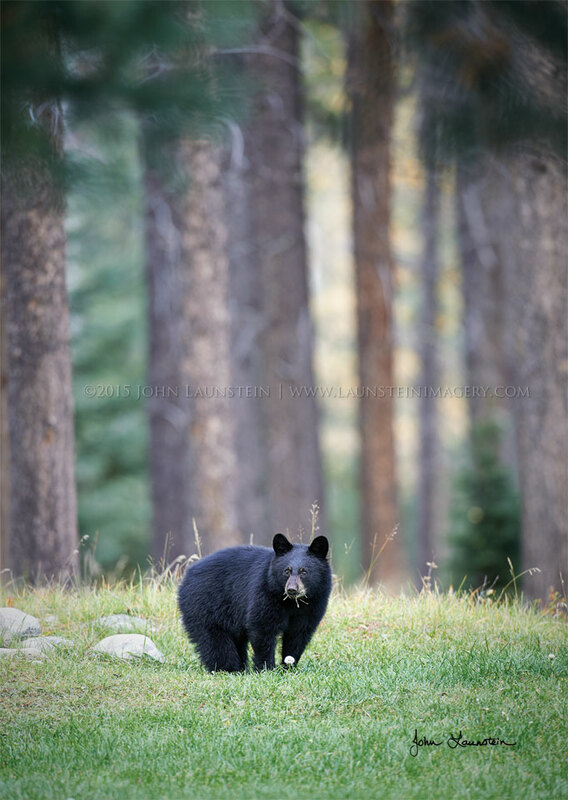 John and his son Josiah were commenting on how the trees in this stretch of Northern Alberta created an “Enchanted Forest” feeling, when a beautiful black bear sow and her adorable cub wandered out in front of their lenses. Knowing how fleeting such magical moments can be, John quickly worked to capture that enchanted feeling in a composition of the cub in its forest home. A few minutes later, mom and cub finished their snack and disappeared into the trees as if they were never there.